AzerTAg interviewed head of the Presidential Administration's Political Analysis and Information Provision Department Elnur Aslanov. 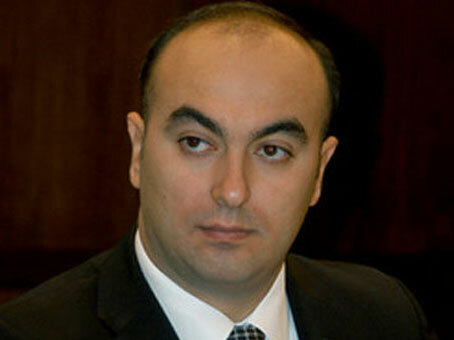 - Azerbaijan enhances competitiveness of its economy year after year. This fact was reflected in the global competitiveness reports. What is Global Competitiveness Index and what is its purpose? - First of all, it is necessary to note that the Global Competitiveness Report of the World Economic Forum is the global and most reputable study based on the combination of specific statistical data and results of the global executive opinion survey. The global competitiveness index is a ranking of countries covering 110 indicators to evaluate the effectiveness of the public policy towards economy, standard of living, growth rates, etc. The results of this research constitute the basis for ranking the countries according to the economic competitiveness indicators. The attitude to any country is based on not only its economic successes aiming to increase the level of people`s welfare but the common opinion of representatives of the international business to the country. The Global Competitiveness Report is based on the executive opinion survey of representative sample of business leaders from over 140 countries. Similar studies drew businesspersons too but since 2004 the Global Competitiveness Report of the World Economic Forum has been the most comprehensive assessment of competitiveness indicators. The experts include such management gurus as Klaus Schwab and Michael Porter. This adds to the prestige of the survey. The importance of such survey lies in its need - any state, which seeks to eliminate obstacles that get in the way of economic development and competitiveness leverages this document to analyze specific zones of economic policy and plan sustainable economic progress. In other words, I may quote one of experts in this field as saying that global competitiveness report for every state is, first of all, the "benchmarking tool". Increasing competitiveness of the Azerbaijani economy can be easily tracked in the reports of global competitiveness: Azerbaijan ranked 57th in 2010-2011, 55th in 2011-2012, 46th in 2012-2013 and climbed to the 39th spot in 2013-2014. By drilling down into the global competitiveness report, we can easily find the influence of modern global economic disproportions on the ranking of countries, first of all, through the change of the assessment of variables, which characterize macroeconomic indicators of their functioning and state of financial markets. For instance, top five countries include Switzerland, Singapore, Finland, Germany and the USA. Nevertheless, these countries face drawback on some indicators. Germany has rigid labour market flexibility (113th) and the USA suffers from poor macroeconomic environment (117th spot). - Azerbaijan significantly improved its positions in the annual rating of world economies in 2013-2014, retaining the title of the most competitive economy among CIS countries. What factors were behind such a high achievement? What does this assessment mean? - Undoubtedly, increasing competitiveness is a striking example of Azerbaijan's pursuing an independent policy, earning economic-political dividends thanks to the policy of diversification. As is seen, respected international organizations admit that President Ilham Aliyev`s policy aimed at reducing dependence on hydrocarbons and creating innovative, in other words, "smart" economy, transforming "black gold" into intelligent capital produce tangible and real results. The policy of diversification of the national economy resulted in a ten-percent growth in the non-oil sector for the past seven months of the current year. Looking at the World Economic Forum`s report, we cannot claim that the most competitive economies are those, which are able to pursue a comprehensive economic policy and take account of all spectrum of factors and relationship among them. All leading economies went down in the 2013 ranking. Brazil dropped from 48th to 56th spot, India from 59th to 60th place and South African Republic from 52nd to 53rd position. Notwithstanding this regress of the countries with traditionally strong economic system, Azerbaijan improved its positions to take the 39th place among 148 countries due to becoming the country with the diversified structured economy. Jumping 7 places against the 2012-2013 report and 16 places against 2010-2011 report testifies to the successes and effectiveness of the economic and social policy of the President, strengthening of the national competitiveness, in particular, capability of the country and its institutions to ensure stable economic growth rates. These factors are achieved by refining the socio-economic policy and accelerating the innovative development of the country. The significance of this fair assessment particularly increases amidst growing global tough economic competition for the right to take a deserved place in the world economic system. Today, competitiveness of the economic system of a state is directly linked to globalization and it is indefinable beyond this context. - Absolutely. While we were discussing several years ago the possibility of entering the top 50 of the most competitive economies, today, we found ourselves in the top 40 of the most effective world economies thanks to the President of Azerbaijan. Global geoeconomic initiatives by our country, creation of more than 1.2 million new jobs, reduction of jobless rate from 46 to 6 percent, gradual and constant increase of financial wealth of the citizens, great number of infrastructure projects, the country's turning into the transportation hub, significant improvement of road infrastructure, creation of the new creative class of managers - is a portfolio, which is formed by the President for the future. Speaking the language of numbers we can note that the national budget has grown 19 times for the past ten years. Our country forms 75 percent of the South Caucasus's economy. The investments into the economy made up over 138 billion dollars. The income of the population surged 6.9 times, pensions 8.6 times and wages 6.3-fold. Today, Azerbaijan is 11 places ahead of Kazakhstan, the next most competitive economy in the CIS area. Our South Caucasus neighbors, Georgia and Armenia are 33 and 40 spots behind respectively in the ranking. Azerbaijan is significantly ahead of all countries of the Eastern Europe and some developed countries including Italy. Moreover, Azerbaijan ranks ahead of the BRICS nations except for China. However, the World Economic Forum`s ranking is not the only report reflecting the step-by-step development of the Azerbaijan's economy. Not long ago, international rating agencies Fitch Rating, Standard&Poors and Moody`s also improved the credit rating of Azerbaijan. It is necessary to note that such high assessment is especially topical given the global recession because of the world financial and economic crisis and soaring price competition. - What does this index give to Azerbaijan? - I can answer this question by citing one of founders of the index, professor of the Columbia University Xavier Sala-i-Martin who claimed " The Global Competitiveness Index provides a window on the long-term trends that are shaping the competitiveness of the world's economies". With this in mind, a similar index is an analysis of national economies, and it creates a more favourable environment for investors and local businesses that receive guarantees regarding the prospects of development of national economy. In general, the index is designed not only for the current day, but smooth the way for the analysis and forecasts of future prospects for the development of the state and society. So, speaking of the considerable achievements of Azerbaijan in the Global Competitiveness Index, it should be noted that of great importance is program "Azerbaijan -2020: Outlook for the Future", adopted by the President, which reflects the vector of development of the national economy, showing people what tasks the government has set forward. In other words, based on the data provided by the impartial and credible investigation, it is safe to say that over the past 10 years the President has laid the foundation for effective future of the country.